This category offers everything that has to do with class A, B, or C recreation vehicles. The companies below will specialize in used, classic motor homes, parts and services. Whether you are looking to buy one, rent one, or find parts to fix and maintain one, this is a good place to start. You will find travel trailers in the Trailers Category. http://www.rvrentalsofamerica.com/: RV Rentals of America is a recreational vehicle rental company with locations throughout the United States. Their website offers free quotes for Class A and Class C motor homes. You can rent a motorhome for a special event like a NASCAR race or for a weekend or longer. 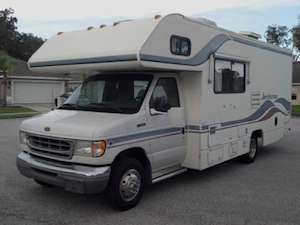 It may not make sense to own an RV when you can rent one when you need it at RV Rentals of America. http://www.rvstoredirect.com/: RV Store Direct is an online recreational vehicle parts and accessory store that features everything you will need to repair and maintain your class A, B or C RV. They have the products you need to make RVing simple and convenient at great prices with friendly customer service.